We all know the wave of development is pushing folks farther into East Oakland, the deeper parts. Parts that local folks call Deep East Oakland. Past the 70s into the 80s and 90s. An area mostly ignored by City Hall for many decades yet home to many. Construction is tearing up the streets and the trees as it makes way for the BRT. This construction is affecting everything and everyone. It is part of the wave of investment that is in East Oakland but not necessarily for East Oakland. The California Endowment made an investment in East Oakland back in 2010 that is scheduled to end in 2020. They invested in several cities in California, a 10- year investment whose aim was to improve the health in those places. East Oakland was chosen. Now ask anyone who has lived here for a while what comprises East Oakland and you get infinite answers. 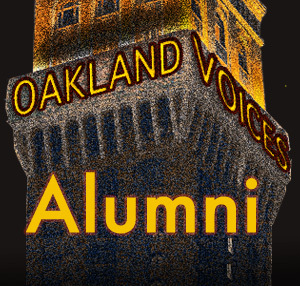 In all cases, East Oakland is big not just geographically but in all other aspects. It’s the most culturally diverse part of this fabled town. East Oakland Building Healthy Communities came to life in 2010 and has engaged over 40-plus organizations in this endeavor. It has a staff dedicated to working with these organizations to help change the health of East Oakland. And health, well it encompasses so many aspects of our lives; it is our lives, right! Lofty aspirations and millions of dollars already invested. One of the collaboratives that the staff is supporting is the East Oakland Congress of Neighborhoods. 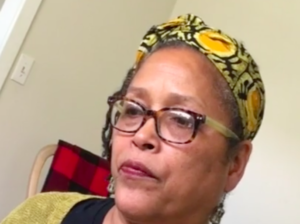 My homie and former colleague (yes -to be transparent – I worked for East Oakland BHC) Nehanda Imara has spent a lot of her energy and life’s work in ensuring East Oakland residents get what they rightly deserve. Clean air, good jobs, investment that is for its current residents and decent living conditions. 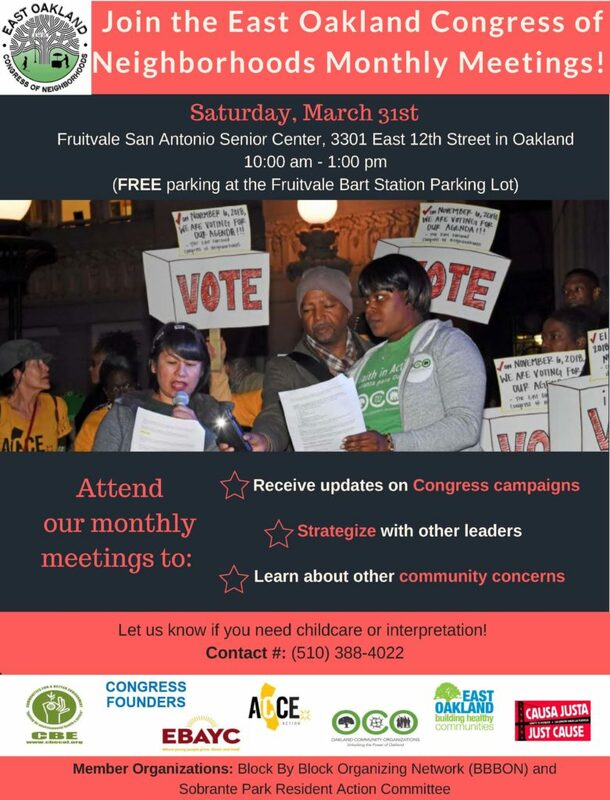 The Congress has been convening very intentionally so that residents of ?East Oakland can flex their organizing muscles on a deep level that will affect lasting changes for themselves and community. Back in April, they met with city leaders around the continual illegal dumping that folks (this writer included) are hella sick of. Promises were made and more than 200-plus residents were present. Many of those residents come from organizations that have pushed aside egos and resources to come together to connect more deeply. To have deeper community connections. Imara plays a role in supporting the convening of these various organizations so that the main campaigns that community has identified can bear fruit: illegal dumping, schools (budget accountability of the district), Environmental justice, and housing. What comes from the millions already invested in East Oakland is yet to be seen and community members are not waiting. Health is not something we can afford to wait for. We must fight for it. Together is better. East Oakland Congress of Neighborhoods is a good start. Patricia Contreras-Flores Mestiza Purepecha. Michoacan Mexico born. Bay Area raised. Yebera. Healer in training. Storyteller. Writer. Grand daughter of Antonia, Maria, Salvador and Juan. Daughter of Gloria and Antonio. Loyal to the soil. We belong to the land.